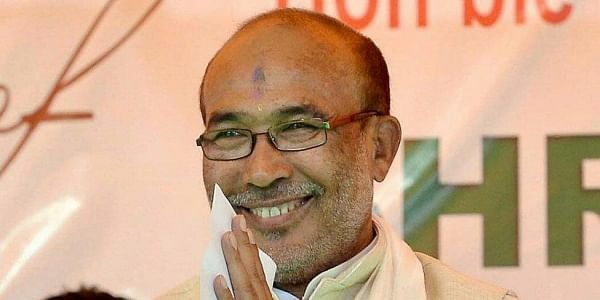 Manipur CM Biren Singh said no force could disintegrate the state if the people live as a single entity of 'Manipuri'. IMPHAL: Manipur Chief Minister N Biren Singh today said no force could disintegrate the state if the people live as a single entity of 'Manipuri'. Various communities have been living peacefully together in the state since time immemorial, Singh said at a programme on the National Unity Day today. The chief minister called for unity among all the communities, an official release said. He urged the people to shun the idea of disintegration and said all should work collectively for unity. On the occasion of 142nd birth anniversary of Sardar Vallabhbhai Patel, Singh also mentioned his contribution to the country. Manipur Governor Dr Najma Heptulla and the chief minister flagged off the 'Run for Unity' organised as part Patel's birth anniversary.